Treatment options vary by commodity. Pre-Bin treatment: 1 fl. 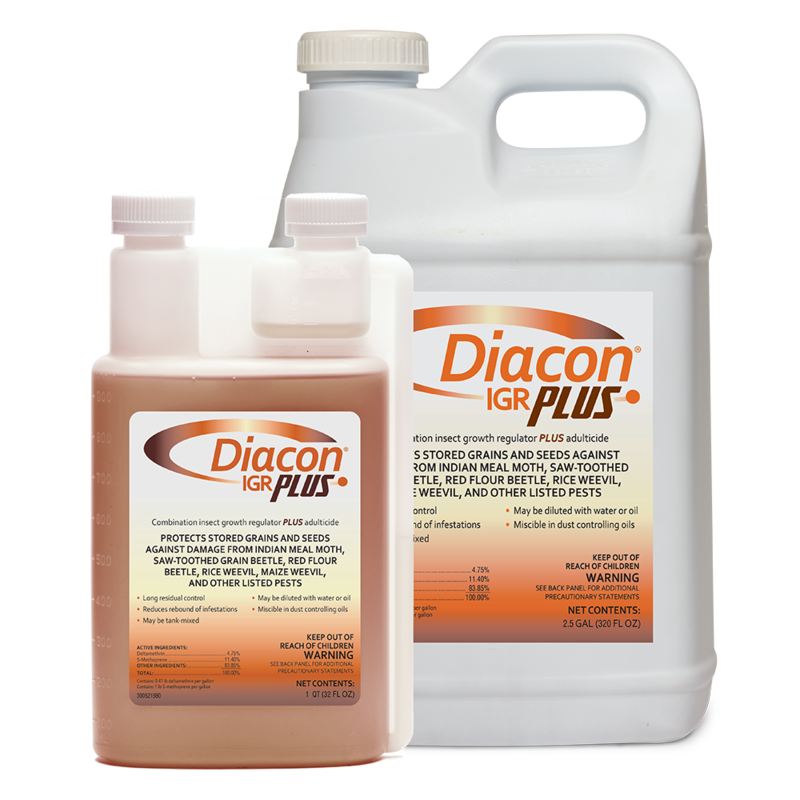 oz Diacon® IGR PLUS, 1 gal. water, 1,000 sq. ft.